Commercial and business solar panels can be installed in a range of industries, with the result varying considerably depending on various factors. Generally speaking, commercial solar panels are installed in sectors like agriculture and manufacturing, where there is more space. These larger operations will be able to support a larger number of panels, meaning that their capacity for electricity production will be far greater than in smaller businesses. Business solar, on the other hand, is installed in small and medium businesses, where the usage is more likely to be localised to either one or two buildings. Someone referring to ‘business solar’ is, therefore, more likely to be referring to office buildings, or similar premises. 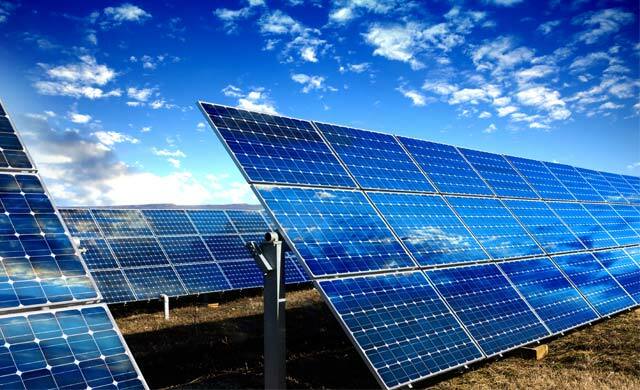 Commercial solar panels – installed in larger operations, with a larger production capacity – these types of business can often distribute the electricity they produce. Business solar panels – installed in SMEs, with a more localised production aim – these businesses are less likely to distribute the electricity they product. As solar technology has improved and become more affordable, many commercial operations have begun setting up solar farms to make more use of space. These operations are then able to sell the electricity they produce back to the grid for extra revenue. Business solar is less likely to lead to extra revenue in the way that commercial solar will, though it can be an excellent way to reduce the cost of your energy and, over time, business solar can lead to significant cost savings. Aside from the economic factors already mentioned though, it is also vital to consider your business’s environmental impact. Adapting to solar energy sources now is one of the best ways for you to improve the world today. On this page, we will provide information about both commercial and business solar energy. We will compare various suppliers, plans and options, and we hope that we can help you to make the right choice for your operation. If however, you are ready to start comparing the best solar panel quotes immediately, you simply need to complete the form at the top of this page. By completing this form, you can help us to put you in touch with top UK solar panel suppliers. Comparing quotes in this way is the best way to compare prices and find the most suitable deal for you. The comparison process is free, quick and easy, and could save you both time and money. To find out more about any of the topics listed below, simply click and read on. Finding the best solar panel for your operation can be a tricky notion. As mentioned above, non-domestic solar panels tend to be thought of in two categories: commercial and business. Some of the factors mentioned above are clear. Your budget will dictate how much you can afford to spend on purchasing and installing solar panels, while your monthly energy usage will inform how much solar energy you may need to produce. Your solar energy goal may be more difficult to quantify though. Do you want to make money by producing solar power? Do you just want to reduce your monthly energy bills? Are you solely concerned with improving your business’s carbon footprint. Knowing which of the options you are more concerned with is important if you want to make the right choice. In the two sections directly below, we have put together some more information focussed specifically on choosing either the best commercial solar panel, or the best business solar panel. Read on now to find out more. The best commercial solar panels are likely to be larger and more powerful than the best business solar panels. As mentioned in the sections above, commercial solar panels are more likely to be used in larger businesses where there is an intent to generate more power than is required by that specific business. In these commercial cases, the additional power is often sold back into the grid, generating extra profit for the organisation. In this small section, we compare some of the best and most efficient commercial solar panels available. The table below includes a direct comparison of five top commercial solar panels. As you can see in this table, SunPower are generally considered to be the one of the best commercial solar panel suppliers. LG and Panasonic though, have also made great strides in solar energy, both offering a range of products that operate very efficiently. The table above is clearly not an all-encompassing comparison of the best commercial solar panels. However, it should provide a good indication of which panel or supplier you may want to select. For a more tailored quote, you should complete the form at the top of this page. Finding the best business solar panels can be as difficult as finding the best commercial panels. In this section we have brought together a few of the best rated small-scale options. As mentioned throughout this page, the requirements between commercial and business solar panels differ significantly. The best business solar panels included in the table below reflect this smaller scale. In this table, we have compared three of the best business solar panel options. The best business solar panels compared in the small table above cover a wide range of needs. Which of these will be best for you will depend on various factors, including those listed earlier in the page. It is likely that for the smallest businesses, the cheaper options here will be suitable. However, for larger offices or business premises, the more expensive choice may be most appropriate. The best way to ensure that you make the right choice is to speak to experts – complete the form at the top of this page to get expert quotes today. In many ways, the best solar panels are those that are most efficient. Finding the most efficient commercial commercial solar panels then is something that can be very important for businesses of every size. As you might expect, efficiency may vary depending on your needs. What is efficient as a commercial solar panel, may not be so as a business solar panel. Average domestic solar panels have an efficiency of between 10% and 20%, depending on the option you choose. As the table above shows, the best commercial solar panels will boast efficiency levels of at least 20%. If you are looking to equip a small business or office, then 10% to 20% could well be acceptable. Of course, aiming to achieve the highest level of efficiency as possible is vital. Speaking with suppliers about which solar panel will be best for your business, depending on various factors, is the best way to ensure that you’re receiving the best value and best levels of efficiency. Commercial and business solar panel costs differ significantly. These costs differ not only from business to business, but also sector to sector. In the section above we highlighted a few products with costs ranging from £750 all the way up to £5,000. The difference between these two price points should make it clear how widely budgets can differ. Cost will be based on a huge range of factors, with everything from actual size to panel efficiency contributing to the final price you will pay. Commercial solar panel costs are likely to be higher than business solar panel costs. This is because, as a rule, commercial panels will be bought and installed in much higher volumes. Additionally though, these panels are also bought with the intention of producing sale-ready energy. In the table below, we have calculated some average costs based on two basic factors. Just like the business solar panel costs included above, the cost of commercial solar panels varies hugely based on a massive number of factors. For the most accurate prices, you should complete the form at the top of the page. In this section we examine commercial panel tariffs. Feed-in Tariffs (FITs) is a UK government scheme that has been designed to encourage businesses to being using a range of small-scale renewable or low-carbon energy generating technologies. Under this Feed-in Tariff, you could be paid for the electricity you generate, as long as the system you use is eligible. Various energy suppliers will handle FITs scheme applications and will make the required payments too. Generation tariff – your supplier will pay a set rate for each unit of electricity generated. Expert tariff – your supplier way pay a further rate for each unit exported back into the electricity grid. Energy bill savings – you will be paying less for electricity bills, with your requirements covered by the energy you produce. The table below includes the latest feed-in rates for commercial systems in the UK – the prices are pence per kilowatt/hour. The possible earnings from a commercial solar panel system are dictated by several factors. The amount of sunlight you receive, the size of your system, but also the quality of your equipment will all impact on earnings or savings. Though it can be difficult to apply any definitive financial value, we have attempted to provide a general guide here. Smaller business – a smaller business with a 4kW system with FiT and electricity savings could expect to save around £16,000 over the course of 20 years. Larger business – a larger business with a 10kW system could see returns of around £2,000 per year. 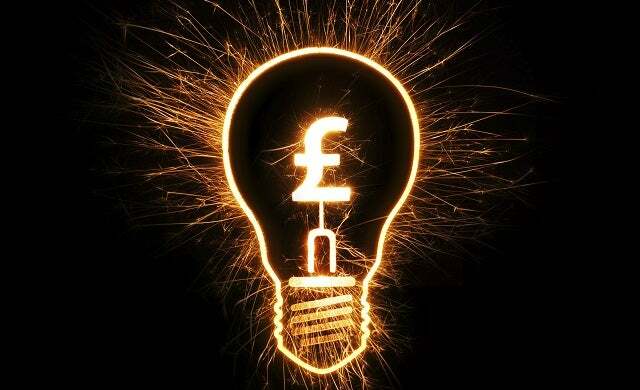 Larger business – a larger business with a 50kW system could deliver over £10,000 a year in income if installed in the best possible conditions. Clearly, there are huge savings and even profits to be made from a properly installed solar panel system. Commercial and business solar panel suppliers are experts in this field, offering every aspect of the service to ensure that your energy needs are met. Solar panel suppliers will not only sell you the equipment you need, but they will also help with installation and, in most cases, grid feed-in. Having this top-to-bottom service is the best way to ensure that your business does not miss out in any way. On this page, we have provided a little information about three of the most successful solar panel suppliers operating in the UK. SunPower are an excellent solar panel supplier, with a huge range of reviews standing as testament to both the quality of their products, but also their level of customer service. There are a range of reasons that you may want to choose SunPower as your solar panel supplier. Firstly, SunPower panels have a 25-year warranty, on both performance and products. This means that they will replace any panel that is faulty or under-performing, and that they will also cover the cost of things like scaffold and labour. With most systems only coming with a 10-year warranty, this offering from SunPower really does set set them apart from the competition. As well as offering an incredible warranty with their products and services, SunPower also offer some of the best efficiency ratings in the business. As evidenced in an earlier section, SunPower are able to provide a range of solar panel systems that provide a much better level of efficiency than competitors. As an added bonus – SunPower panels work very well in low-light, meaning that you are less likely to be affected by the drops that may affect other panels during the winter and autumn months. Business and commercial solar panel installation is not a process that can be completed by amateurs. Indeed, to try installing one of these systems without expert help could be an excellent way to throw money away. Planning permission – prior to 2012, planning permission was required for commercial solar panel systems; since then though, this is no longer the case. Space – depending on the volume of panels you want, you will need space. Making this space or already having it is essential if you want your new system to operate well. Placement – as well as requiring space in the first place, it is also important to consider the placement of your panels. Your expert suppliers will be able to make recommendations on the best way for you to arrange your systems. You may already have ideas about how best to install and place your solar panel system. Ensure though, that your ideas match up with what your supplier considers to be best practice. The information on this page should help you to understand what commercial and business solar panels could do for your business. For better information though, you should speak to suppliers today – we can help with this. By completing the form at the top of this page, you can help us to put you in touch with up to four top-quality UK solar panel suppliers. These suppliers are all experts in their fields and can help you to find and install the best possible solar solution. To compare quotes today, simply complete the form at the top of this page. This comparison process is free, quick and easy, and it could save your business both time and money.